Us ladies can’t go anywhere without our purse. 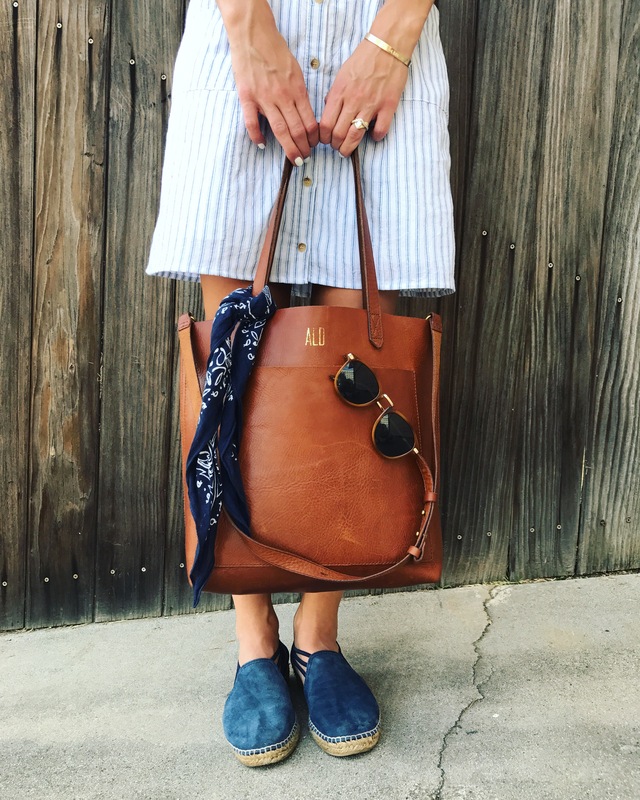 If you’re anything like me, your shoulder companion usually acts as a makeup kit, a library, a gym duffle, a beach bag, a grocery tote… and so much more. 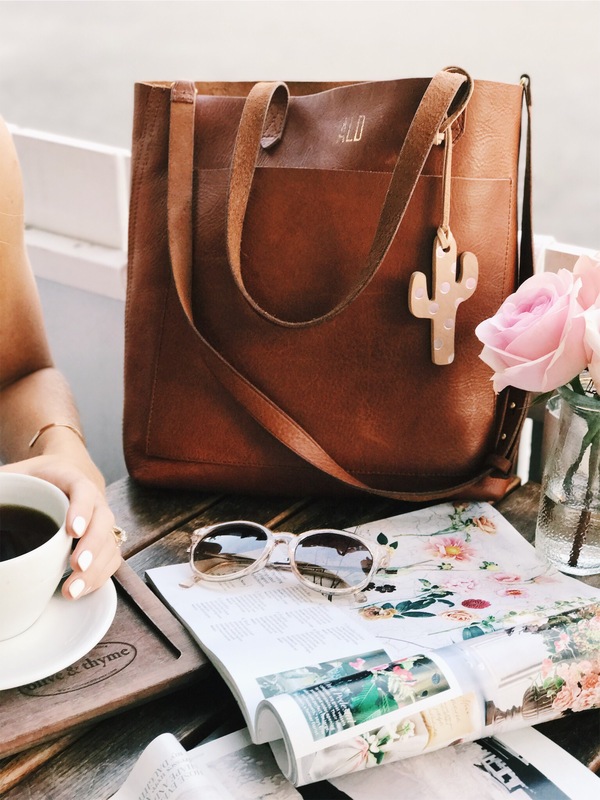 Madewell has really changed the game with their timeless leather carryall. I have a mad love of leather products and on multiple occasions I’ve even caught my Fiancé with his entire head buried inside taking a wiff of the quality craftsmanship. 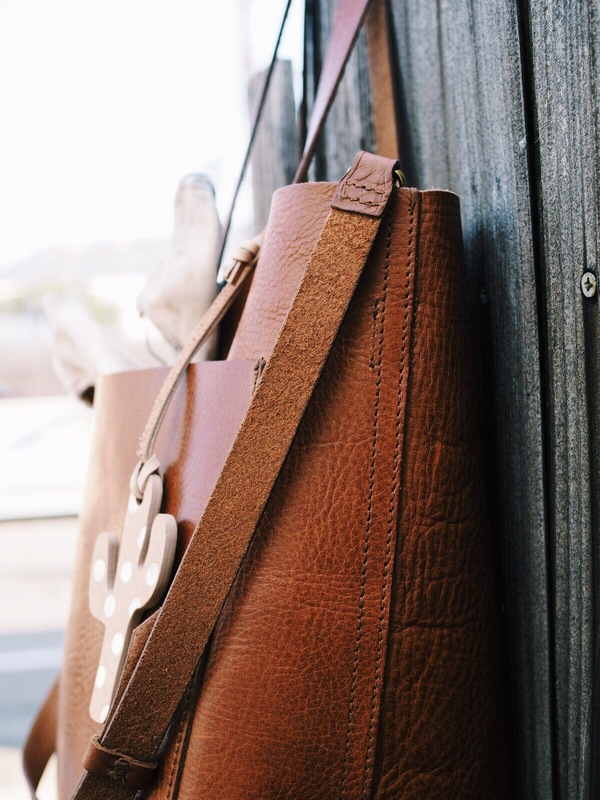 These bags stand the test of time, and with wear, grow even more lovely. I also love that there are endless ways to style, utilize and personalize. In fact for $10 you can add your initials. Or, sign up to be a Madewell Insider for free leather AND denim monograms. How much fun to add your new name! Add one their adorable bag tags, tie on a bandana or a scarf, lace in your sunglasses, clip on your personalized keychain, fold in your newpaper or carry it as is. So many possibilities! If you are planning a wedding I can’t think of a better bag to have beside you. Fill it with your agenda, your wedding planner, magazines or business cards. When Adam and I where traveling through North Carolina hunting for the perfect venue, I was so glad I had brought my Madewell along. He was too when I happened to have a snack handy at all times. Do you a bridal shower, graduation, or birthday coming up? 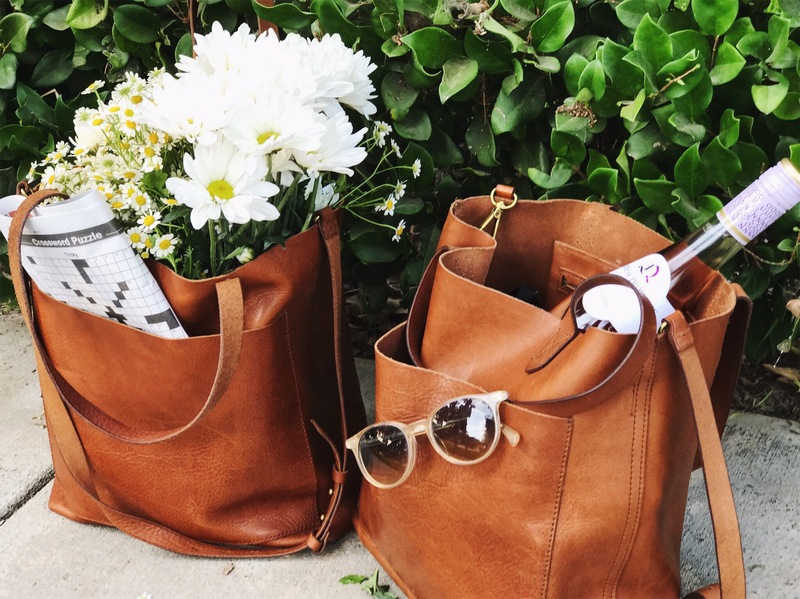 The classic Madewell Transport Tote is a gift any lady at any age will be excited over. Fill’er up for a picnic with a girlfriend and have a wonderful weekend!